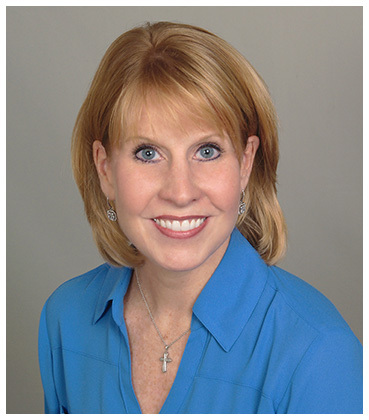 Dr. Kristin Hinderliter would like to welcome you to Hinderliter Hearing Services. She has over 18 years of experience and takes personal pride in her work. As a hearing impaired individual, she understands how hearing loss can negatively affect relationships and overall quality of life. She knows just how frustrating it can be to miss conversations. On December 6, 2018 Hinderliter Hearing patients were invited to an evening of hors d'oeuvre, drinks, games, learning, and fun at Pine Lake Country Club. It was a wonderful event to showcase how much we appreciate our patients. Hinderliter Hearing is committed to providing the highest standard of audiological care utilizing professionalism, technology, and a genuine care for improving the quality of life of those with hearing impairment. 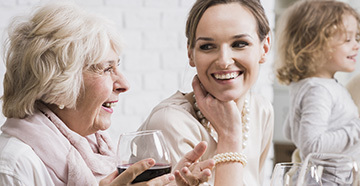 A wide variety of hearing aid styles and accessories to improve your hearing loss. 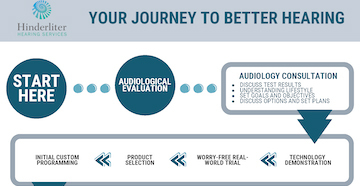 Evaluations that will properly diagnose and treat your particular hearing loss. We will help determine what kind of repair is necessary for your hearing devices. Therapeutic management for various conditions associated with "ringing in the ears." Choosing a hearing professional is one of the most important decisions you will make and the personal relationships you will develop in our office will continue long after your initial appointment. We understand that ongoing counseling, periodic adjustments and regular hearing aid cleanings are vital to your continued satisfaction with your investment in better hearing and we are committed to being here to support your every need. We will make your office visits pleasant by providing you with excellent service. We focus on patient education, taking our time with you, and doing our very best to help you achieve improved hearing. We want you to have an exceptional experience every time you walk through Hinderliter Hearing Service's door and we will do whatever it takes to ensure you are 100% satisfied. We accept cash, check, Visa, Master Card, American Express, Discover and Care Credit.